Newsletter 568 – Should You Care About Biographies and Novels? Have you ever heard of Vernon Grounds? He was a theologian, dynamic speaker and (Denver) seminary president. Born in 1914, he died four years ago but only last month did I read Bruce Shelley’s biography subtitled The Vernon Grounds Story. Vernon wrote a PhD dissertation on Freud’s view of love, spent much of his life counseling and mentoring younger leaders and professionals, and was a leader in the early debates about theology vs. psychology. It seems that everyone he met admired him and he profoundly influenced countless lives and careers, including mine. I rarely read biographies and probably have only read eight or ten novels in my whole life. But should mental health professionals, pastors, leaders and others be learning from stories, real and imaginary? Surely these can teach us about life, leadership and helping in ways that no formal journal article or bullet point presentation can do. All except one of last week’s Academy Awards best picture nominees were stories of real people’s lives. Last month Relevant Magazine published a list of eight recommended biographies (for the list, click here) and I have committed to reading all eight. This includes Solomon Northup’s autobiography 12 Years a Slave, which was made into this year’s best picture Oscar winner. I’m reading Northrup’s book now. The March 2014 APA Monitor published an article on psychologists and novelists. Titled “Fascinated by People, On and Off the Page,” the article interviews four psychologist-novelists including one who has done research showing that reading fiction can impact readers’ personalities, increasing their empathy and social skills. In addition to this is the recent fascination with narrative therapy in its various forms. This can include helping counseling and coaching clients, among others, imagine and seek to live out their hoped-for new life stories. Much older is the use of bibliotherapy in which appropriate books and other written materials, fiction and biographies included, can supplement leadership and care-giving. Are any of you writers, users of narrative therapy or recommenders of biographies and fiction? Please comment. Also, what is the best biography that you would recommend? Click on Comment to let us know. Newsletter 566 – Should You Care How the Brain Works? Just about every mental function and emotion “results from external stimuli and a vast range of neural activities and connections drawing on many brain regions interacting with each other.” Don’t assume that any thought or behavior involves only one part of the brain. Brain science is “roughly comparable to where biology was…around 1825.” So don’t draw too many conclusions about what we know now. 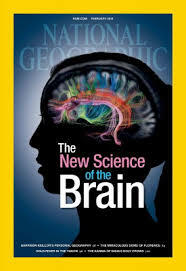 At present, brain science has little if any relationship on how we bring change. But as it develops the field has huge potential for practical usefulness in the future. “Anything we consistently give attention to teaches the brain to produce more of it.” The same is true of negative thoughts. As a non-specialist, I try to read broadly in the brain science area, learning from experts who can communicate clearly (that’s a rare breed) and applying what I can. How do you respond to all this? Please comment. In the mid nineteen-seventies I published a book titled How to Be a People Helper. It was translated into several languages and the English edition is still in print. Over the years I’ve shifted my interest away from counseling and more to what I call people building. This term includes counseling but the emphasis is broader. People helpers, like professional counselors and therapists, focus on reaching out and helping others deal with personal and relational problems, many of which can be intense and sometimes devastating. People builders are focused more on individuals and groups that are concerned less about problems and more about growing. Coaches help others deal with life difficulties and challenges but there is more of an emphasis on goal setting and building on strengths. Educators, pastors, writers, trainers and leaders of all kinds emphasize problem solving but their focus is more on engaging, encouraging, guiding and equipping others to live more productive and fulfilling lives. 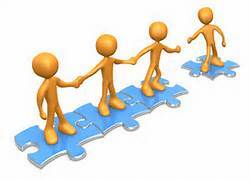 People builders often are concerned about poverty, social justice, and team building. They include mentors, athletic coaches, sensitive parents, and others involved in the process of changing attitudes, improving skills and guiding others to make wise decisions, reach their goals and fulfill their potential. Clear in their beliefs and values. For Christians this means keeping a focus on Jesus and being open to following his leading in our lives. This is an impressive list, maybe impossible to put consistently into daily practice. Some among us work to build success, acquire riches, fame, and influence, none of which is innately bad. But what could be better than leaving a reputation as a people-builder? In what ways are you a people builder? What should I have added to what I wrote? Please comment. Several years ago I spoke at a banquet honoring Clyde and Ruth Narramore, pioneers in the development of Christian counseling as it developed following World War II. Now in his nineties, Clyde’s work was shaped by early American fundamentalism and the post-war culture where he worked. Beginning as a licensed psychologist working in secular schools, he emerged as a speaker and entrepreneur who brought popular psychology to evangelical churches and radio listeners. As described in Clyde’s recent autobiography, Every Person is Worth Understanding, he and his wife had the first Christian radio program dealing with psychological issues and the first Christian psychology magazine. Each lasted thirty years. Clyde and Ruth spoke at hundreds of Bible conferences and travelled around the world pioneering the work of psychology and missions. He was invited to speak in the military academies and centers of power in Washington including the White House, Pentagon and State Department. 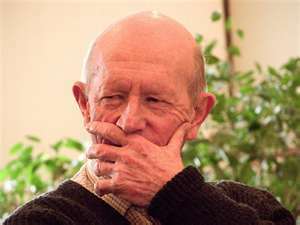 He wrote a number of books and was founder (with his nephew Bruce Narramore) of Rosemead Graduate School of Psychology. What can we learn from pioneers like this who appear on the scene, have a significant impact during the prime of their lives and then often fade from view? Pioneers are alert to opportunities and possibilities in their environments. Before this was popular, the Narramores used radio to spread their message. Pioneers take action and often take risks. 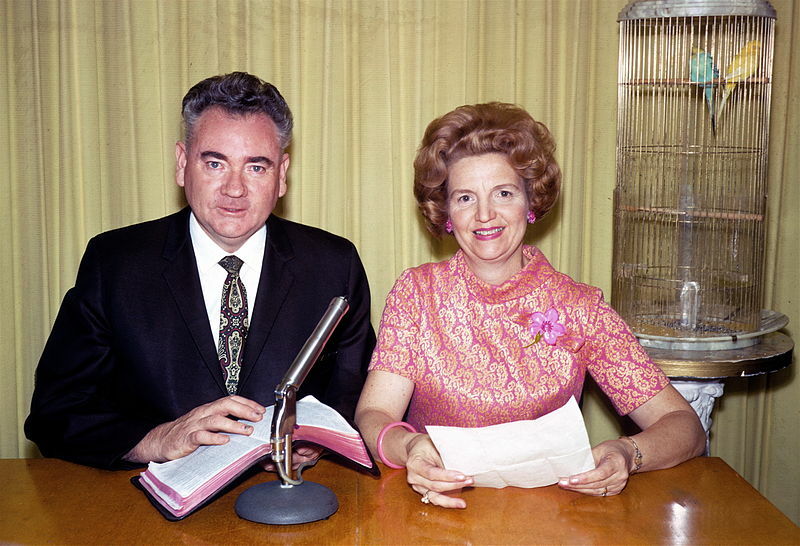 Clyde and Ruth demonstrated the relevance of psychology and counseling when these were suspect in many Christian circles. Christian pioneers are faithful believers, alert to God’s guidance and not ashamed of their beliefs. These people work hard, often without funds or recognition, but they persevere in doing what they feel called to do. Committed people, pioneers included, strive to make a lasting impact even when they recognize that all our lives and careers are like fog that eventually fades (James 4:14). Pioneers keep looking forward. Dr. Narramore ends his book “looking forward to great years of ministry” and identifies a competent successor to advance and continue the work. Can pioneers be coached or trained? Can an individual determine to be a pioneer or are trailblazers blessed and gifted in some supernatural way? What would you add to the above list? Please comment. The New York Times recently published an article critical of life coaching (January 27, 2012). Coaching is now taught in more than 30 American universities including Harvard, Yale, Duke, Penn State, University of California at Berkeley, George Washington and NYU among others, but the thrust of the article was the extent to which people without coach training are advertising themselves as coaches and selling their services. Many of these people charge high fees but lack credentials or have certification that is meaningless. The Times article never mentioned this but the Christian coaching field has the same mix of high quality training and competent coaches mixed with self-proclaimed, poorly trained coaches similar to those profiled in the Times. The incompetent practitioners pull down the whole coaching field and reinforce the negative perceptions of coaching that come from many mental health professionals and the broader public. This came to mind as I read a carefully documented article titled “Public Skepticism of Psychology,” published in American Psychologist (February-March 2012). 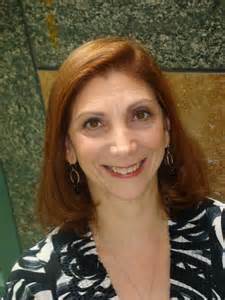 For years people have misunderstood and mistrusted psychology and counseling because there is confusion about what mental health professionals do, misrepresentation of the fields by incompetent practitioners including popular media figures like Dr. Phil and Dr. Laura, and limited public awareness of the scientific underpinnings of these fields. Similar attitudes appear about coaching, especially since there is almost no scientific documentation to show that coaching is effective. Personal testimonies from clients mean little since statements like “it worked for me” are subjective and not very convincing. Countering skepticism is difficult and involves all of us whatever our specialties. Facts to counter misperception can help and so can evidence-based scientific support for our work. Can we improve training standards and credentials to increase our credibility? Competent, authentic practitioners can do a lot to meet the skepticism, including the writing of articles that present a different side of the Times criticisms. It is taking years to dispel skepticism about mental health practitioners. Coaches can learn from their example, then show and teach skeptics what we do and how we do it well. How have you countered skepticism of your work? Please share your experiences as a way of helping all of us. Many years ago I gave lectures at Fuller Seminary where one faculty respondent commented that my talks about integrating psychology and Christianity never acknowledged that integration is impacted by culture. Since then, I have come to realize that views of psychological and political issues, psychopathology, research, or effective treatment methods differ from country to country. American ways of doing therapy, presenting lectures, doing ministry or leading mission trips may not connect with people in other cultures and actually can do harm when we think we are helping. I never go overseas or work cross-culturally without working to understand cultural differences before I go and while I’m there. Stated bluntly, the American (Canadian, British, Australian, or other country’s) world-views or therapies are not always universally applicable or the best for other cultures. 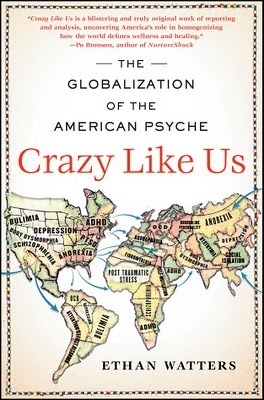 Recently I read Crazy Like Us: The Globalization of the American Psyche by journalist Ethan Watters. In prose that reads like a novel but is carefully documented, Watters shows how Americans have exported our ways of viewing mental illness and our methods of treatment. It is rare that a book enlightens, amazes and angers me all at the same time but that was my reaction to Watters’ writing. He describes how Western views and treatments of anorexia, PTSD, schizophrenia and depression have been transmitted and sometimes forced on to other cultures. This has been done with the help of media reporters and drug companies, often backed by mental health professionals, researchers, and even church leaders. There are two (often more) sides to every story. I am searching for reviews and objective critiques of this book that may present a different story. But I come away more than ever convinced that cultural perspectives influence a lot of what we teach and how help is given, interpreted and received. My international students understand this; often their professors do not. Please comment, especially if you have read the book. If you’ve seen critiques of this book can you pass them on? To what extent do the conclusions and methods developed in your culture fail to apply cross-culturally? Do our cultural biases and insensitivities lead us into doing more harm than good?